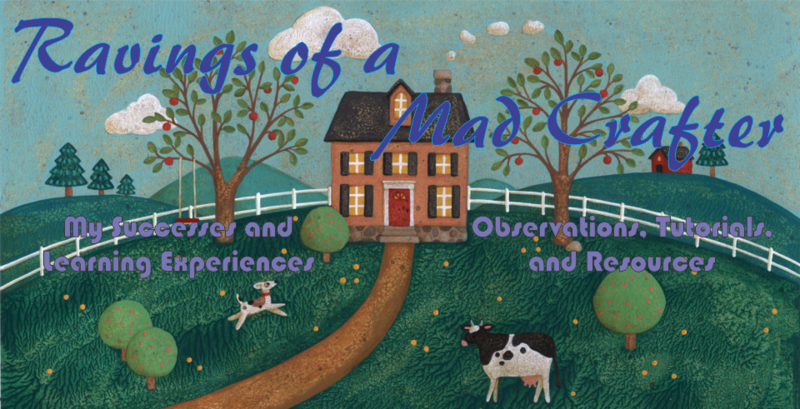 Ravings of a Mad Crafter: Time to Start Blogging Again? The last couple of years I have been terrible at blogging projects that I've worked on. So as a start to a new year I will try to do better. Just because I haven't posted doesn't mean that I haven't been crafting. Several projects just never got mentioned or photographed. One such project I started years ago and now is in the final stages of construction, a pincushion doll! 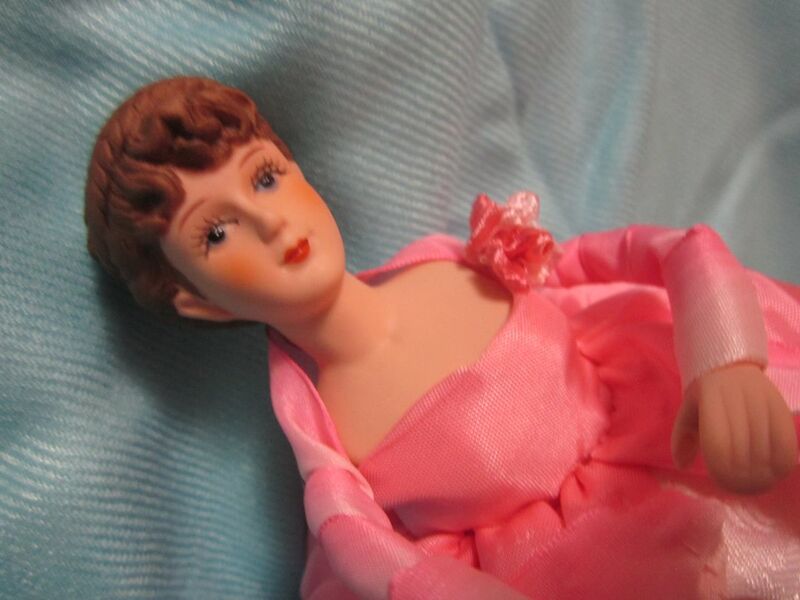 These dolls were very popular at the beginning of the 20th century. Back when lace and ribbon work were everywhere. This pincushion doll was started over five years ago and has been sitting with other projects taking up space. So about a month ago I started working on her again finally finishing her cylinder shaped body. The body idea was inspired from several doll pincushion sources in ribbon work books. I adapted the body making it long and narrower then the books suggested. The body was sewn by hand out of muslin and then stuffed with fiberfill. 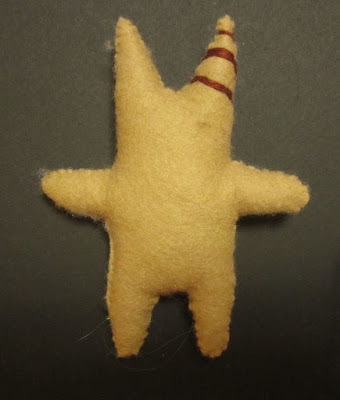 If I ever make another pincushion doll I will use something to flatten the bottom like a piece of cardboard, and add some weight on the bottom to help with the balance. The doll is 10 inches tall and 12 inches wide. 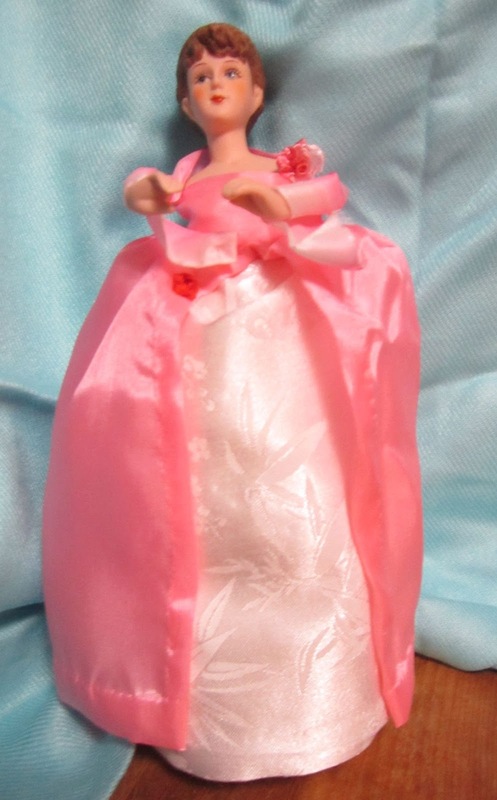 Using hot glue I took a chenille stem and glued the dolls arms onto it's ends. Then glued the stem to the dolls recess in the upper torso. The top of the body was then hot glued into the dolls upper torso too. Next I sewed a small pink satin rectangle to fit around the dolls chest and two larger rectangles for the dress skirt and under skirt. The underskirt is made of white damask and the outer layer is the same lovely pink satin as the bodice. To cover her shoulders and arms I simply wrapped a piece of pink ribbon leaving it to flow from the wrists. On her right shoulder I made a tiny folded rose using a piece of knitting ribbon. Now comes the real fun/work of decorating the skirts with ribbon work and ribbon embroidery. This is where I stopped in order to finish some Christmas stuff. Now that we are into 2017 it is time to get working on Fair entries. So far I have made a simple hardanger mat and linen bag for the coming Fair. The linen bag came out very cute and I have planned a matching doll to fit inside it. In the last week I have been watching the "Clone Wars" animation to try and make a small doll that appears in the show. The doll appears in Season 1 episode 20 "Innocents of Ryloth" around 12 minutes in, and Season 2 episode 3 "Children of the Force" nearly 8 minutes in. It is a very simple doll but the proportions are a bit tricky. Here is the prototype made out of felt. I learned a lot making this doll. The points of the head were difficult at this size, it is tiny). So I need to improve the pattern before I try again. The stripes are embroidered which I didn't like. Next time I will try adding stripes of fabric instead.